Henderson Tourist Commission – Do You Handy? We Do! Henderson Tourist Commission / handy blues barbecue henderson kentucky music dancing free event / Do You Handy? We Do! Do You Handy? We Do! 5 Reasons the W.C. Handy Blues & Barbecue Is the Place to Be! 1. It’s FREE! Thanks to the support of sponsors and donations, this year’s Handy Festival is once again free to the public. Show your support by purchasing a Handy Festival T-Shirt or spend the money you saved on mouthwatering barbecue! 2. The Street Strut Parade (June 11) gives Henderson a way to celebrate Mardi-Gras style in Kentucky. Dress up, bring out the umbrellas and facepaint and have a good time! The Strut begins at 10am, and a new Grande-Ooh-Pee-Doo will be named. 3. Did we mention there’s barbecue? And lots of it. 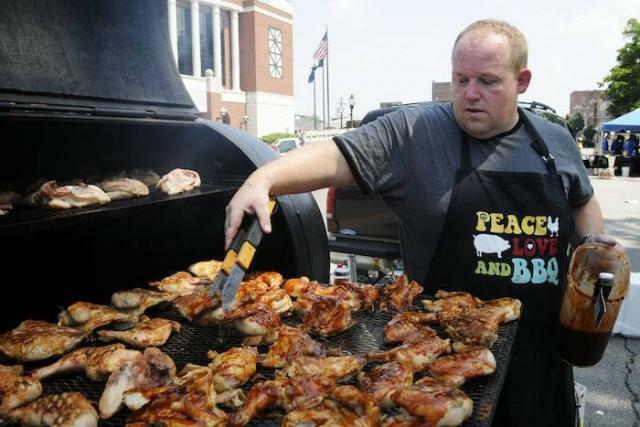 On Saturday June 11 the Taste of Hend erson Barbecue offers selections by J&B BBQ & Catering, Southern Basics BBQ, Rex’s Kentucky Barbecue Express, Thomason’s Barbecue, Mema’s Snack Shack, Memphis & Main BBQ, American Pit Bosses BBQ and New Beginnings Missionary Church. Harbor House Christian Center will also offer homemade ice cream. 4. The music just keeps getting better. We’ve been at it for 21 years, and each year we welcome more of the biggest names in blues music to our shaded, riverfront park from Wednesday June 15-Saturday June 18. 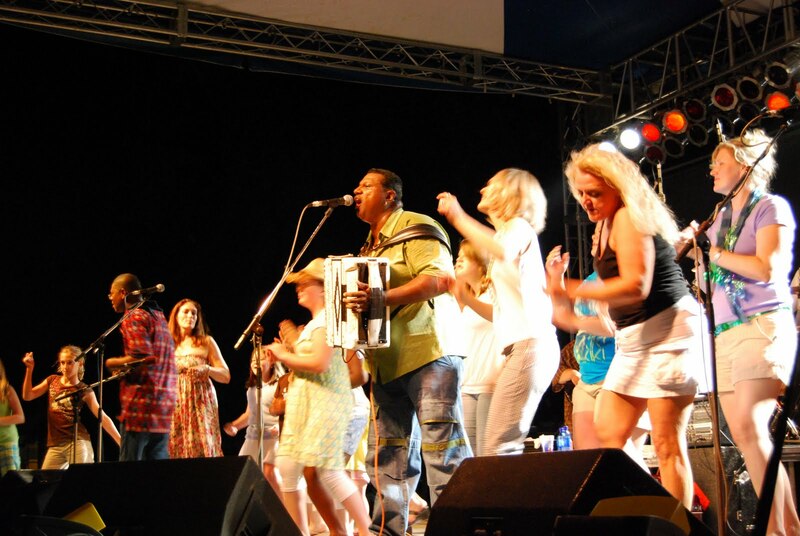 This year, another red hot line up features artists such as Guitar Shorty, Dana Fuchs, Lionel Young Band, Terrance Simien and the Zydeco Experience and MANY MANY MORE! 5. Handy Lunch Breaks and Music Workshops are offered throughout the festival. Meet musicians and learn the craft of blues music! Lun ch breaks begin at 11:45pm at various restaurants Monday-Thursday. Find out more on the Handy website. Photos are by Mike Lawrence of the Gleaner and Mollie Durbin.